Rackspace Cloud Files and Bootstrap can help you to create an excellent Website easily right on the go as templates, CSS files are available. Deploy it on cloud. If you are not sure about the potentiality of Rackspace Cloud Files, you can read this guide where we have created a nice music player fully hosted on Rackspace Cloud Files – on the backend, it is Akamai with OpenStack. Download the ‘source’ version for easy to understand documents and resources. We will basically show you that how easy it is to use Rackspace Cloud Files and Bootstrap to create a great looking fully Cloud CDN hosted website within few minutes. You can double click on your local computer to check which template will suit your need. It is that easy as we do not go in compilation to create programatically difficult thing. Create a separate container on Cloud Files and Publish it as Public from Rackspace Cloud Control Panel. Now open the container in Cyber Duck and upload all the files inside the container. But rename that big named file to index.html for one page site, like an App, a music player for our example. Rackspace Cloud Files is a CDN not for hosting really, but you can actually make an HTML page to show, that important thing is a tutorial for Serving Full HTML Website From Rackspace Cloud Files CDN. Upload all the needed files using Cyber Duck tool. You will be able to access it on browser now. As that big name is difficult to remember, you can use CNAME to change it to as if a subdomain or your main domain, depending upon your need. Demo Bootstrap with Music Player on Rackspace Cloud Files. Please note that, in this Demo, the actual song playlist is not added. But you can see the player’s buttons to function normally. This Article Has Been Shared 4181 Times! 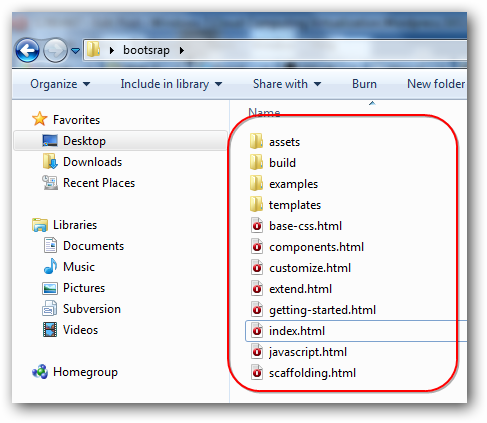 Cite this article as: Abhishek Ghosh, "Rackspace Cloud Files and Bootstrap : Create an Excellent Website Easily," in The Customize Windows, October 11, 2012, April 25, 2019, https://thecustomizewindows.com/2012/10/rackspace-cloud-files-and-bootstrap-create-an-excellent-website-easily/.